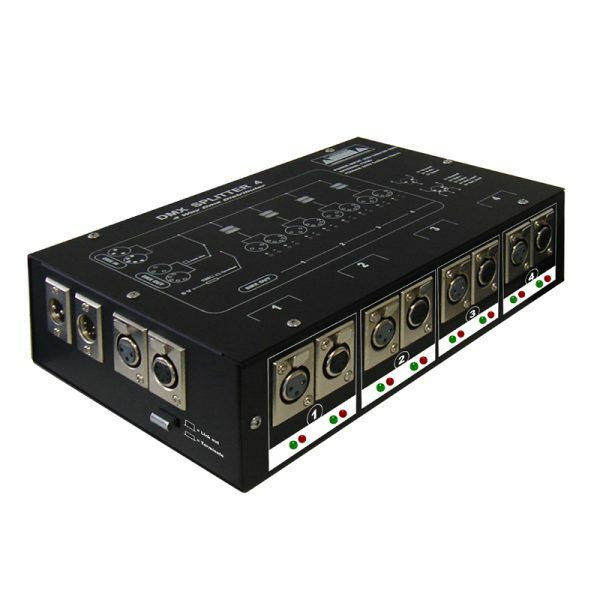 4 way DMX booster/distributor with one input and four outputs. 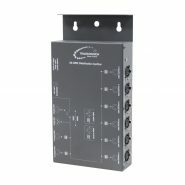 Complete electric isolated between input and output as well as output and output. 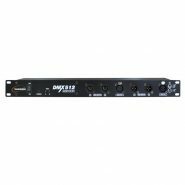 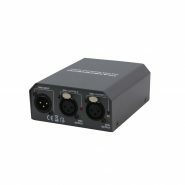 Both DMX input and DMX output are provided with 3-Pin or 5-Pin XLR connectors, each DMX output has an independent driver and DATA + and DATA – indicators. 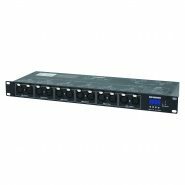 In addition a link out/terminate selector is used to prevent the DMX output from errors or malfunction caused by a defective DMX input.